Medical malpractice, also called "medical negligence," is when a doctor or other medical professional, fails to provide appropriate medical care to a patient. This can include failing to order appropriate tests, failing to make a proper diagnosis, and failing to recommend or give necessary treatment. A lawsuit can be filed when a patient suffers an injury, harm, or death from this medical neglect. Our medical malpractice attorneys will get all of your medical records and review them to see if a medical error or mistake caused a serious injury or death. We will also discuss them with highly respected board-certified physicians and medical experts. If we can prove that you or someone you care about was the victim of medical negligence, we will file a lawsuit for you. 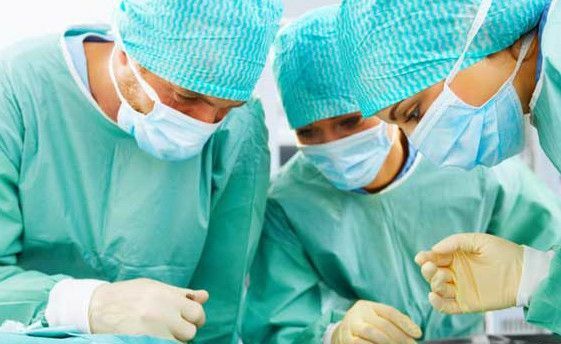 Our Michigan medical malpractice attorneys sue doctors, hospitals, and clinics for medical errors that cause injuries or death to a patient. Malpractice lawsuits seek settlements and compensation for patients harmed by medical negligence. In cases involving a patient death, we file a wrongful death lawsuit for the surviving family members. Medical malpractice occurs when a hospital, clinic, doctor, nurse or other health care professional, through a negligent act or omission, causes an injury to a patient. The negligence could be an error or mistake in diagnosis, treatment, surgery, or management of the patient. This includes surgical mistakes, anesthesia errors, medication mistakes, or harm caused by a misdiagnosis or the failure to diagnose a serious medical condition. There are many occasions when a medical mistake does not result in serious harm to a patient. While this may be negligence, the law requires that a serious injury occur as the result of the error in order to pursue case. These are often referred to as preventable injuries because they would not have occurred with proper care and treatment. Doctors and hospitals will rarely, if ever, admit that they are guilty of medical malpractice or negligence. The only way to know if you have a case is to have all of your records reviewed by an experienced law firm that specializes in medical malpractice lawsuits. It often takes a team of lawyers, nurses, and doctors to evaluate the medical records to determine if negligence caused injury or death to a patient. Our attorneys will get all of your records and radiology films from all of your past medical providers. We pay all of the costs for those records. We will review them with our in house medical team and then discuss your case with our nationally recognized medical experts. After the review is complete, we will know if you have a meritorious case to file in court. We will then let you know if you have a medical malpractice case and if you do, we will move forward to file your lawsuit. More than 250,000 Americans die each year as the result of medical errors, according to a study by researchers at Johns Hopkins Medicine. The study, authored by Dr. Martin Mackary, suggests medical errors rank as the third leading cause of non-violent death -- behind heart disease and cancer -- in the United States. The category includes everything from bad doctors to more systemic issues, such as communication breakdowns when patients are handed off from one department to another. What Are Some Examples Of Medical Malpractice & Negligence Lawsuits? A hospital may be legally responsible for medical malpractice or medical neglect by a doctor or nurse. Patients can file a lawsuit against the hospital and doctors for malpractice that occurs inside a hospital. Quite often, mistakes are made by both the physicians and nursing staff and the hospital is liable for the injuries and harm caused by this medical neglect. A medical malpractice lawsuit is when a case is actually filed at the courthouse alleging medical negligence by a doctor, hospital, clinic, or nurse. The lawsuit, called the Complaint, specifically states the history of the treatment, the medical basis for alleging negligent care, and an explanation of the damages claimed in the suit. This legal pleading is served on all defendants who must then answer the allegations in their own legal pleading filed with the court. This is the beginning of the litigation process. The purpose of the lawsuit is to seek compensation for the patient harmed by the medical malpractice. In cases involving the death of the patient, the surviving family members are entitled to money damages under Michigan law. Most cases result in settlements but some proceed to a jury trial asking for an award of damages. It is necessary to prove all of these factors to win your case. If a doctor made a mistake but it did not result in harm to the patient, then a case cannot be filed under the law. Or, if a patient suffered harm during or after a medical procedure but it was not caused by a medical error, then a medical malpractice case cannot be filed. In most cases, you can sue a hospital for medical malpractice if the negligence was committed by a hospital employee or agent. This includes staff physicians, nurses, and other employees at the hospital. This can involve care that occurred while a patient in a hospital or injuries that result from an improper discharge from the hospital. A hospital can be generally be held liable for the negligence of its employees. Many times, a doctor or surgeon is not employed by the hospital and is either an independent contractor or just using the facility to treat their own patients. In these cases, the hospital may argue that it is not responsible for the negligent care provided by a non-hospital employee in their own facility. A judge or jury will have to decide if the hospital is responsible to the patient in these circumstances. Can I Sue A Doctor For Medical Malpractice? You can sue a doctor for medical malpractice if the physician failed to properly diagnose a condition, treat a condition, or refer you to the appropriate medical specialist. Many doctors are employed by large practice groups or by hospitals. In many cases, both the doctor and the medical practice can be sued for negligence. As in all medical malpactice cases, you need another medical doctor state that your doctor was negligent in your care. Our attorneys will find the best expert to prove that your doctor committed a mistake that caused your injuries. It is unlikely that your doctor will ever admit fault or that any of your follow up doctors will tell you that a mistake was made in your treatment. Doctors in the same community rarely, if ever, blame each other for inappropriate care or treatment. How Do I Find Out If My Doctor Has Been Sued For Medical Malpractice? Unfortunately, there is no public database available to find out if your doctor has been sued for medical malpractice in the past. This would be great information to know before you chose a physician, especially for an important necessary or elective surgery. One way to find out is to search the case listings at the courthouse in the counties where the doctor currently practices or has practiced in the past. Many courts now give you the ability to search case listings online by a party’s name, so you can search for the name of the physician. Another way to find out is by consulting with an malpractice attorney who may have sued the same doctor in the past or knows of a previous lawsuit filed against the doctor. How Long Does It Take For A Medical Malpractice Lawsuit? The actual medical malpractice lawsuit takes around one and half to two years to complete from the time the Complaint is filed at the court until either the trial or settlement. However, the process often takes much longer because it can take many months to get all of your medical records and have them reviewed by a physician expert witness. Once it has been determined that you have a valid case, Michigan law requires that a Notice of Intent to File Suit be sent to all negligent medical providers, including doctors and hospitals. There is then six month waiting period set by law before the actual suit can be filed at the courthouse. After the lawsuit is filed, the process can often take up to two years but many cases are settled sooner. The length of time often depends on the complexity of the case and the scheduling order issued by the trial judge. Do Most Medical Malpractice Cases Settle Or Go To Trial? The majority of medical malpractice cases settle before a trial. Statistics show that over 90% of lawsuits settle before a trial. This is for several reasons. First, the requirements for filing a case are very strict and therefore most cases have merit. Second, the cost of going through a trial is very high and can take several weeks or more from start to finish. Third, although the defendants win most cases that do go to trial, the jury verdicts against them often exceed one million dollars. Therefore, the costs and risks of going through a trial are significant and it is often beneficial to the medical provider and insurance company to settle before a trial. This is especially true in cases that have merit and will most likely be won by the patient at a jury trial. How Much Can You Get For A Michigan Medical Malpractice Lawsuit? In Michigan, there are damage limits (or caps) on the amount of compensation that you can receive in a case. The lower cap applies to most cases and has a current limit of $440,000.00. The higher cap is currently $ 750,000.00 and is for cases where there has been a brain injury permanent damage to a reproductive organ. These damage caps do not include medical expenses, lost income, loss of earning capacity, or other economic losses which can be added to the damages limit to determine how much you can get in your lawsuit. Many times, the economic losses caused by the medical negligence are substantial and this can increase the settlement amount by millions of dollars. There is no “average settlement” for a medical malpractice lawsuit. The settlement amount depends on a large number of factors and they vary from case to case. These factors include the degree to which you can prove medical negligence, whether you can prove negligence caused a serious injury, and the type of harm caused by the medical error. When it comes to damages, the settlement amount takes into consideration the permanency of the injury, whether there has been a loss of income or earning capacity, and the amount of the medical expenses incurred due to the malpractice. Another important factor includes the venue, or location, of the lawsuit. Juries in certain counties regularly award less money damages than other counties. This is often a major consideration in determining the settlement. Finally, the attorney representing you is often the biggest factor in your settlement amount. The best attorneys get their clients the highest settlements through their skill, hard work, and experience. Choosing the right lawyer is the most important decision you will make for your case. How Are Settlement Amounts Determined In Medical Malpractice Cases? The amount of a medical malpractice settlement depends on the strength of the evidence in proving the required legal factors for a case. Cases with the most significant injuries, or death, have the highest settlement amounts. Cases with significant economic loss, such as loss of income or large medical expenses have a higher settlement value or result in larger jury verdicts. There is no set guideline or formula to determine the amount of a settlement. It is the experience of a skilled attorney that can determine the fair settlement based upon the factors needed to prove and win a case. Other factors include the insurance policy limits of the doctor, the severity of the injuries, and the county where the lawsuit was filed. Hospitals and insurance companies evaluate the same factors when deciding if they want to settle a lawsuit or take it to trial. Our expert medical malpractice lawyers win the highest possible settlements and jury verdicts. Below are examples of medical negligence lawsuits won by our award-winning law firm. $ 4,100,000 Settlement against a Michigan hospital for surgical error that caused severe complications. $ 3,750,000 Settlement for an Ann Arbor teenager not properly supervised in the suicide wing of a hospital. $ 900,000 Settlement against a Saginaw hospital for misdiagnois of cauda equina syndrome. $ 625,000 Settlement in a Macomb County misdiagnosed pulmonary embolism death. $ 400,000 Settlement against a Detroit area emergency room for failing to diagnose frostbite for a patient. $ 390,000 Settlement in Port Huron for a patient who suffered serious complications after surgery. $ 290,000 Settlement for a Michigan woman who suffered a pressure ulcer in the intensive care unit. We have many other settlements that could not be disclosed due to confidentiality agreements with the medical providers. Doctors, hospitals, and their malpractice insurance companies often require this provision as a part of the settlement agreement. $9,000,000 medical malpractice settlement. A patient suffered severe hypoxic encephalopathy due to the delay in calling a code in the hospital emergency department. The sixteen minute delay resulted in a deprivation of oxygen which resulted in permanent injuries. $3,500,000 medical malpractice settlement against a Michigan hsopital and surgeon. The minor patient suffered severe and irreversible neurological deficits after undergoing surgery to repair a skeletal abnormality. The complications that resulted in the post-operative deficits were avoidable. $3,500,000 surgery malpractice settlement. The patient suffered a spinal cord injury due to a physician’s negligent recommendation of a procedure to fill a collapsed vertebrae. The physician ‘s failure to abandon the procedure after noting signs of neurologic injury caused the patient’s paraplegia. $3,100,000 stroke malpractice settlement. A patient had a stroke during a bone marrow transplant due to physician’s failure to aggressively treat his dangerously elevated blood pressure. The failure caused a left temporo-occipital intracerebral hemorrhagic stroke, leaving the patient significantly injured. $2,500,000 medical malpractice settlement. for a 33 year-old patient who suffered severe and permanent brain damage after an emergency room physician prescribed incorrect medication. The patient went into cardiac arrest and was resuscitated after 14 minutes, during which time he suffered significant hypoxic ischemic injury to his brain. $2,4000.00 settlement against a hospital for failing to diagnose a bowel obstruction in a 6 year old child resulting in partial loss of his bowel. $1,750,000 jury verdict against a Detroit hospital due to errors during a surgery which caused severe brain damage and let to a subsequent death. $1,670,000 Wayne County jury verdict against Henry Ford Wyandotte Hospital in a medical malpractice wrongful death lawsuit. $1,100,000 settlement for a patient who suffered a stroke after unruptured aneurysm treatment. $1,250,000 jury verdict against a Michigan doctor for negligently placing an IVC filter in a woman which resulted in substantial injury to the patient. The Michigan medical malpractice law requires that every lawsuit alleging negligence by a licensed medical provider have an Affidavit of Merit attached to the Complaint that is filed with the court. The Affidavit of Merit is a notarized legal document signed by a physician serving as an expert witness. It sets forth the medical reasons for the expert's opinion that medical malpractice or negligence by a doctor or hospital caused injury, harm, or death to a patient. Our lawyers work with the medical experts to obtain the Affidavit for you. In cases involving more than one negligent doctor or hospital, it may be necessary for us to get multiple Affidavits from physicians with different specialties. Once all of the Affidavits are received, a lawsuit can be filed in the circuit court for the county where the medical treatment occurred. Video: How Much Time Do I Have To File A Medical Malpractice Lawsuit? The statute of limitations , or time limit, to file a medical malpractice lawsuit in Michigan is generally two years from the date of the injury. There are some exceptions to this deadline for cases involving minors and those involving the death of the patient. There is also the very limited "discovery rule," which may extend the filing date if the medical negligence was discovered after the two year period. The failure to file a lawsuit within this time limit will forever bar your claim. It is very important that you speak with our medical malpractice lawyers immediately if you believe you or someone you care about was the vicitm of medical negligence. We will listen to your story and tell you if you have a case. It does not cost anything to hire our medical malpractice lawyers. We do not charge any fees to start your case and only get paid when you receive your settlement check. This is called a contingency fee agreement. Under this arrangement, we also pay all of the case expenses for you and get a percentage of the settlement at the very end of the case when your check is received. Contingent fee agreements are used in most medical malpractice cases. The costs of pursuing and litigating these case is significant, often costing tens of thousands of dollars for expert witnesses, depositions, court filing fees, and medical records. This is why attorneys are very picky in choosing which cases to pursue because of the substantial investiment of both time and money into every single case. Lawyers only choose to pursue cases that are likely to have a successful outcome. You need a qualified and experienced malpractice attorney review your case. Our medical negligence attorneys will get all of the medical records and review them to find out exactly what went wrong. We will then contact one of our nationally respected medical experts to determine if the medical provider was negligence and if the medical negligence caused a serious injury. After we consult with our experts, we will discuss the opinions with you. If there was medical malpractice that caused injury or death, we will file your medical malpractice lawsuit. We have won significant settlements in medical malpractice cases for our clients. We will do the same for you. Submit the Free Case Review Box on this page and you will be contacted shortly. Chat with our online intake specialist and an attorney will call you soon. I want to thank you for representing us when no one else would. You were tenacious and showed concern for us throughout our case.